Sf15 is a highly innovative craft that develops technologies born on hydrofoils, conceived by the start-up Inesse Corporation Ltd and made possible thanks to the financing from Intesa Sanpaolo bank and (micro) finance system on www.nextequity.it. A boat that flies on the water, a highly technological evolution of the hydrofoil: this is the Superfoils 15 and it is the luxury motor boat designed and made by Inesse Corporation Ltd, a start-up founded two years ago by a team of engineers and professionals operating in the fields of Formula One, the America’s Cup, the yachting sector and luxury car design. What makes this very high performance boat unique is the advanced system based on foils that can be electronically adjusted, that protrude below the hull and allow the SF15 to lift up from the water’s surface and sail, for a certain distance, ignoring the waves: as a result comfort on board increases considerably and consumption is reduced by up to 35%. 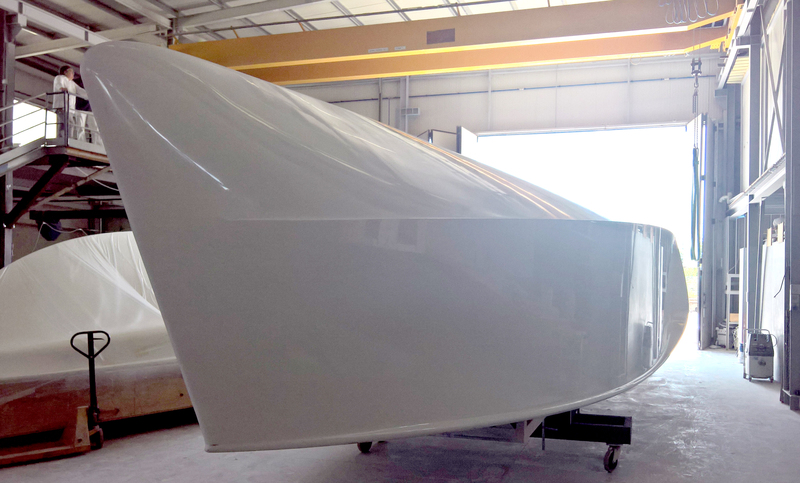 The solidity of the project comes also from very high level experience already built up by the Inesse team in the development of foiling technologies in the America’s Cup (2013 edition) on the AC72 Luna Rossa catamaran. For the SF15 project the foils system was specially adapted to engine propulsion and a suitable transmission system has also been designed. The SF15 represents a new concept of sailing based on high performance aimed at a luxury target, rich customers looking for an exclusive product. Every model will be unique, it will be possible to customise the boat to the specific requirements of the customer. The length (15.35 m overall), chosen to meet market requests, makes it possible to enter all luxury ports, even small ones, and also makes this boat an excellent end of the big yachts. America, the Middle East (Dubai and Abu Dhabi in particular) and Asia (Singapore and Hong Kong) are the most interesting markets. Crowdfunding equity is a new way of raising capital through online portals that allow investors to finance business projects of innovative start-ups or innovative SMEs by becoming partners. Www.nextequity.it is a platform authorised by Consob to carry out equity crowdfunding. Based in Civitanova Marche (Mc), Next Equity was formed by a group of professionals who had been operating for many years in finance and business with the aim of bringing together capital and innovation, helping the financing and growth of innovative start-ups and new business ideas, thus creating synergy with the territory and the economic fabric generally. 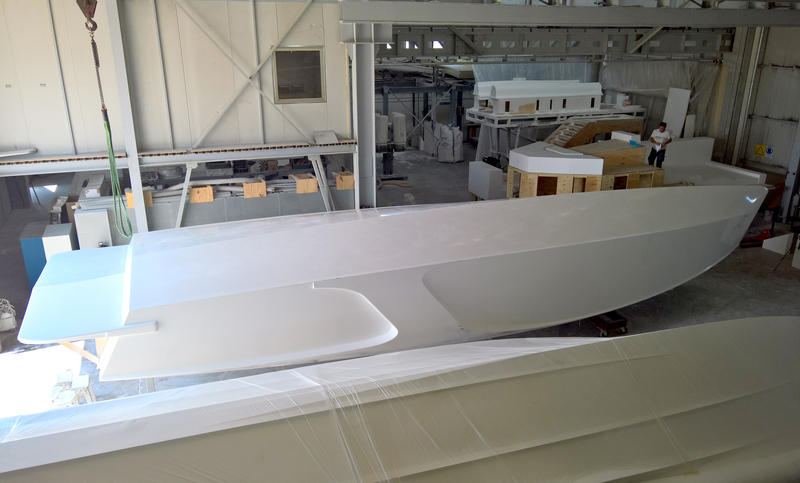 The first Superfoils 15 is already being built and now the company is looking for new financial partners to continue production, of from 3 to 5 models a year with a high level of customisation. The campaign begun by www.nextequity.it is aiming to raise a maximum of 1,200,000 Euro with 20% of distributed equity and a minimum investment of €1500. The selling price of the boat should be around 1,850,000 Euro and the company is already receiving orders (delivery expected from 2019). The hull is hard chine with a not very deep V. The reverse bow will ensure a certain degree of comfort at moderate speeds by cutting through waves, up to a certain size, and minimising pitching. The foils system for fast sailing dictated certain decisions on build technologies. Analysing the level of stress generated by the foils on the hull, the choice of materials was obligatory. The structural parts of the SF15 are in fact made completely from carbon fibre, a material that is very strong but also very light (a fundamental requirement for lifting the boat out of the water). Particular attention was paid to the manufacture of the moulds for the hull and deck. These were made in a single piece to ensure millimetre precision. This ensures that the actual behaviour of the boat on the water will be very close to the software simulations during the design phase. The twin methods of sailing are an innovation that makes it possible to overcome the limits of the classic passenger hydrofoil with its fixed foils, designed to sail straight at a given speed. Superfoils 15, on the other hand, can spread its wings and control their use while flying on the water: it is agile in turns and permits dynamic helming, optimising performance at all speeds. 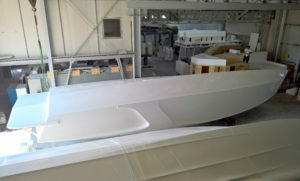 From 0 to 18 kn its sales in the traditional way: the foils are retracted and housed inside the hull. From 18 kn are up it can start to foil or continue to sail in a traditional way up to 38 kn. But if it decides to take off, the fluid dynamic appendages are extended with the transmission system which progressively lowers the propellers. The filing should start at relatively low speeds, 18 kn, as the extension of the foils and the lifting up of the boat lead to a peak in drag: at higher speeds it would be too difficult. The electronic controls are linked to inertia platforms, sea and weather sensors, depth sounders and a GPS system to read the distance from the coast and permit foiling to start only if it is safe. The four foils are trimmed in a completely independent way, both in the transverse sense and in the angle of incidence, so it is possible to make even tight turns and always have the optimal minimum of power. The resulting foiling can thus be very stable and flat. The engines that will be installed on the model being built will be a pair of 440 hp Yamaha diesels, giving total power of 880 hp. The surface transmission will use a special system that with a double pendulum movement will make it possible to maintain the propellers at an optimal depth at all levels of trim. Foiling will permit very significant reduction of fuel consumption: Liverani says that to reach the same performance without foils power of about 1700 hp would be needed.